Proper filtration is one of the key elements in the production of high quality vegetable oils. The selection of a filtration system is based on the type of oil, the type of contaminant to be removed and the required end product. Filtration of the crude expelled oil is essential to remove the remaining solids (foots) that are still present after the press. Filtration with a vertical pressure leaf filter is recommended before it is sent for further downstream processing. Both hot and cold pressed oil is filtered with vertical pressure leaf filters. The removal of fines that have passed through the extractor is can be well done with miscella filtration. This step will protect the evaporate from the fines. 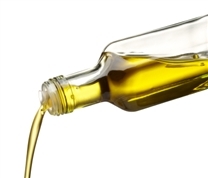 Miscella filtration provides a better quality oil and hence a better quality lecithin. To remove the solids from the miscella, pressure leaf filters are recommended. Bleaching earth is used for the removal of colour, soap traces, gums and metals. Filtration is used to remove the bleaching earth. Because this is a continuous process two filters are used: one in operation and a second in cleaning/stand-by mode. In order to save operating costs, it's common to see other bleaching filtration processes installed. They're all focused on reducing bleaching earth consumption by using components like silica or cellulose. These can be used in conjunction with or as a replacement of the bleaching earth. The reduction of PCB’s and dioxins is accomplished with the use of activated carbon. It can be mixed with the bleaching earth or in a separate step after the bleaching filtration. If used in a separate step, filters to remove carbon fines are necessary. Vertical pressure leaf filters are used for bleaching oil filtration. Pulse filters are commonly used for activated carbon filtration. Odor is removed from the oil in the deodorizer by heating up the oil to a temperature between 180 and 260oC in a deep vacuum. After a retention time of 30 to 60 minutes, the oil is cooled down and is filtered with a polishing filter. Typically a bag filter is used in this process. The winterization process removes crystallized components (waxes) commonly associated with some oils like,sunflower, safflower, linseed, corn and cotton oil. Horizontal pressure leaf filters are used in this process. The pressure leaf filters are pre-coated with filter aid. Filter aid is also added during the process as a body feed to extend filter life. The hydrogenation process is used to improve flavor stability and maintain oil quality. This stage can change the physical characteristics of an oil by converting it from a liquid into a semisolid. Normally hydrogenation is a batch operated process. Nickel catalysts are used for hydrogenation of edible oils. The removal of the catalyst is accomplished through the use of a pulse discharge filter or pressure leaf filter. Nickel residuals are removed in the post bleaching stage. Vertical pressure leaf filters can be used to remove the bleaching earth. This filter technology is well suited for this application as the post bleaching stage is normally a batch operated process. Safety filters are used after a cake filter to control the quality of the oil and ensure no particulate carry-over. Often bag filters are used in this filtration step. When fully automatic operation of the plant is required, an automatic back pulse filter can be used. Polishing filtration is the final filtration step. Cartridge filters are used when there are high demands on the quality of the oil. These filters will provide more consistent and better effluent quality compared to a bag filter of the same micron rating.